There is a part of you that knows you were meant for more. There’s something inside that wants to make something beautiful. Sometimes, you lay awake at night dreaming of possibilities and wondering what could happen if you took the leap. You see the amazing work of others and know that you could do something similar. Every now and then your heart starts racing when you talk about your aspirations. There’s a book, a business, a charity, a quest that has been planted like a seed in your heart, waiting to be nurtured. Waiting to burst into full bloom. There’s something that you know you should be doing, but you are afraid of what will happen once you start on that journey. Somewhere deep inside, you want to, but you don’t if you can fulfill such a destiny. “Surely not.” Comes the instant, seemingly sensible, inevitably fearful reply. 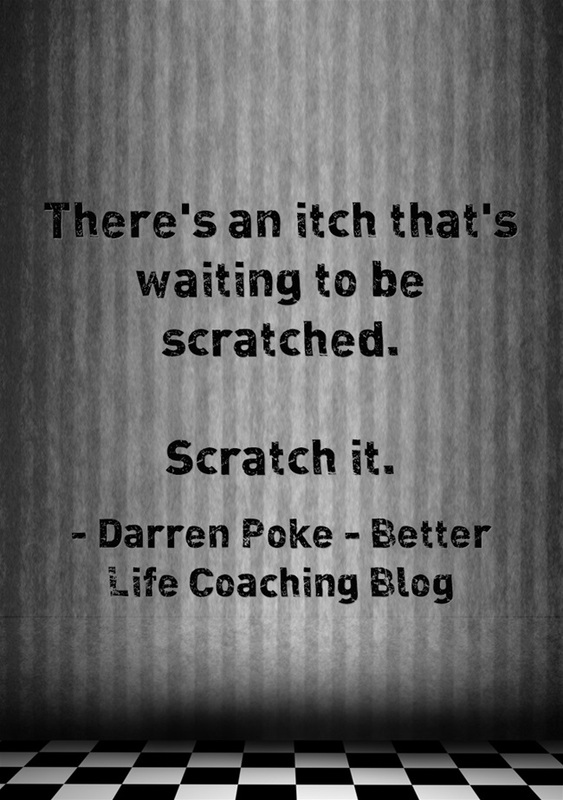 There’s an itch that’s waiting to be scratched. Previous post – What Should You Do When All Of Your Hard Work Is Wasted? « What Should You Do When All Of Your Hard Work Is Wasted?